At last, 3 months, the Real owners manuals arrived. 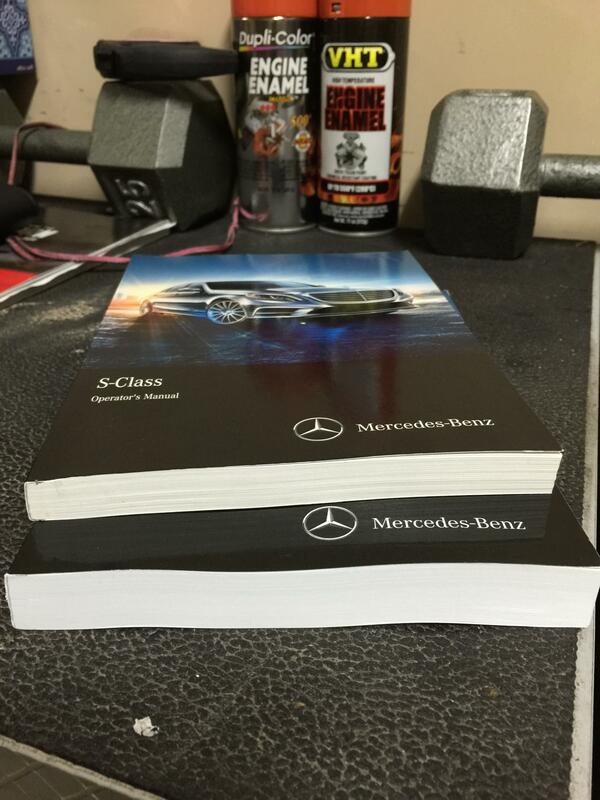 You can see the difference in thickness between the one that came with the car and the real one. Nice not to have to sit in the car or computer. Hmmm will I get a set of real manuals? I didn't get anything for the Command system. Both manuals are on the Command System in the car. 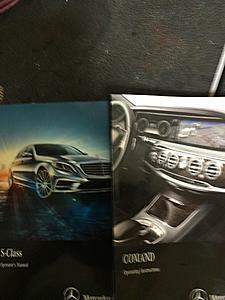 MY2015 S-class sedan operator's manual (p/n 2225843302) is $84 (MSRP). Available at most places selling OEM parts. I paid $128 for both. Now lets see, $40 cost x 100000 cars. Who knows, maybe next year the accountants will decide the onboard manuals should be an additional cost option. Does the one that came with the car not contain the same information as the one that you ordered? My S63 has a hand built engine and it has some trunk option called a comfort box. The comfort box is $50 worth of plastic. The comfort box had a 6 page manual on it's use and operation. The $30k AMG engine? You guessed it NOTHING!! I kept asking about it finally I got a picture of a window sticker about the breaking procedure. Last edited by RLHorst; 12-17-2014 at 08:07 AM. No, it is more complete. It's the same as the one you can download. 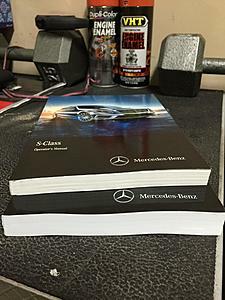 The one that comes with the car always refers you to the onboard manual. Yes, the dealer I bought mine from didn't have a clue, but did offer to print me out the downloaded one . Bought the car out of state, none were available here in Houston. Good news though was I got 5k off sticker, dealer's in Houston were full MSRP.